Glaucoma Types - What Is Acute Angle Closure Glaucoma? This serious condition makes the pressure inside your eye (your doctor may call it intraocular pressure, or IOP) go up suddenly. It can rise within a matter of hours. It happens when fluid in your eye can’t drain the way it should. It isn’t as common as other types of glaucoma, which cause pressure buildup much more slowly over time.Acute angle-closure glaucoma is caused by a rapid or sudden increase in pressure inside the eye, called intraocular pressure (IOP). 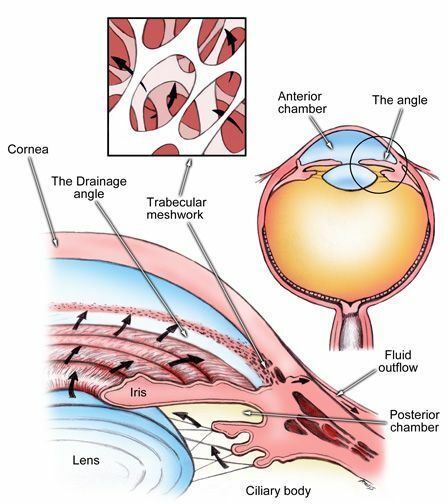 Fluid drains out of your eye through a system of canals. These canals live in a mesh of tissue between your iris (the colored part of your eye) and your cornea (the clear outer layer). 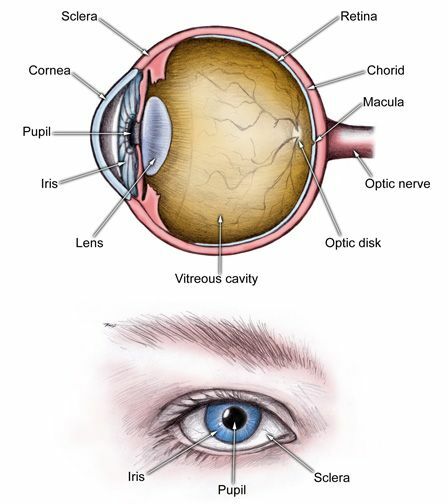 When your iris and cornea move closer together, it “closes the angle” between them. When this happens suddenly, it’s called an acute attack and is very painful. The best way to prevent an acute angle closure glaucoma attack is to get your eyes checked regularly, especially if you’re at high risk. Your doctor can keep tabs on pressure levels and how well fluid drains. If she thinks your risk is unusually high, she may suggest laser treatment to hold off an attack. Glaucoma Today: “An Overview of Laser Iridoplasty."